Over the past two games against the Pittsburgh Penguins and Nashville Predators, San Jose Sharks netminder Antti Niemi has stopped 74 of 75 shots. The much maligned (sometimes by yours truly) goaltender is putting together a stretch reminiscent of his 2013 Vezina nominated season when he put the Sharks on his back. Over his past eight starts, Niemi has seen his save percentage rise from around .910 back up to .916 as he has posted a save percentage of .941 during this span. That is simply amazing stuff from the Finnish netminder. The Sharks have had a tough time defensively this year with their goals against being significantly worse than a year ago. Sloppy defense from Brent Burns as well as an off year for Justin Braun (until recently), and inconsistent play from both veterans and young guys means Niemi hasn’t had much help. However, even with the little help most of the season, we haven’t seen Niemi play this well as individual in quite some time. After Thursday’s shutout over the Predators, Niemi confirmed this as his best stretch of the season. Yours truly will take it one step further and say this is the best we have seen out of Niemi since the 2013 lockout shortened season. Niemi carried the Sharks for much of the season in route to a Vezina nomination for the league’s best goaltender. 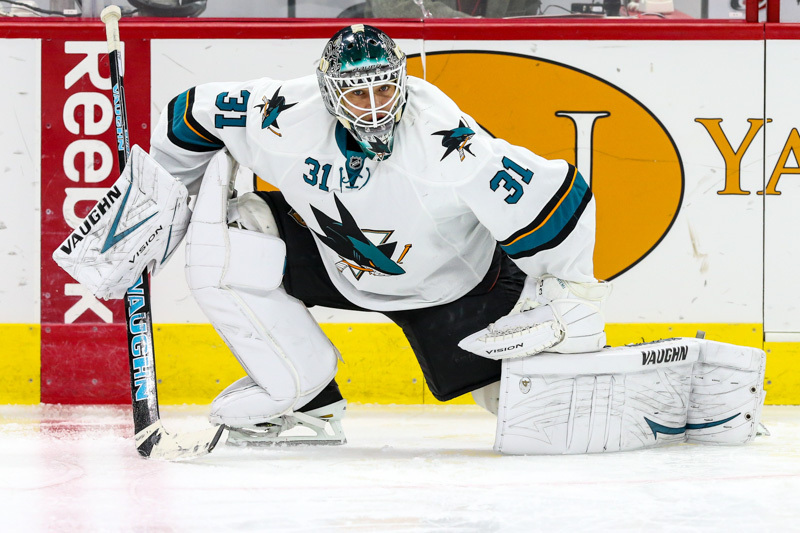 In the 2013 playoffs, Niemi continued his dominant play with a .930 save percentage, the only postseason he has had in four previous years as a Shark that was good enough for this team to win a Stanley Cup. Niemi won the Stanley Cup with Chicago posting just a .910 save percentage but that was behind one of the best teams top to bottom in NHL history. These Sharks aren’t anywhere close to that good, so they need their goaltender to play lights out. Right now, Niemi is doing just that. “It’s what we need” commented Joe Pavelski after the victory over Nashville. “He gives a lot of confidence when he is playing like that. “Now everybody just thanks Nemo because he had huge game for us” added Tomas Hertl in his post game scrum. The Sharks are now just three points back of both the final division seed and wild card spot in their chase to keep a decade long playoff streak alive. On Saturday they host Niemi’s former club in what will be another big two points on the line. Historically Niemi has been solid against his old employers with a .916 save percentage, including a dominant .940 mark this year in two starts, 63 saves on 67 shots.